Apricot Fruitcake - creating a new Christmas tradition. Apricot Fruitcake. This light apricot fruitcake recipe takes our very popular Apricot Raisin Cake and turns it into a moist and delicious Christmas fruitcake. As promised to my followers on the Rock Recipes Facebook Page, here is my latest light fruitcake that I have been working on. It’s based upon the Apricot Raisin Cake that is so popular here in Newfoundland, especially during the holiday season. I’ve always liked the texture of that cake, so I bumped up the amount of fruit in it, adding some glacé cherries and mixed fruit as well. I’ve added no nuts here but if you are so inclined, add your favourite chopped toasted variety to this recipe. This just may destined to be a new family favourite for the holiday season. 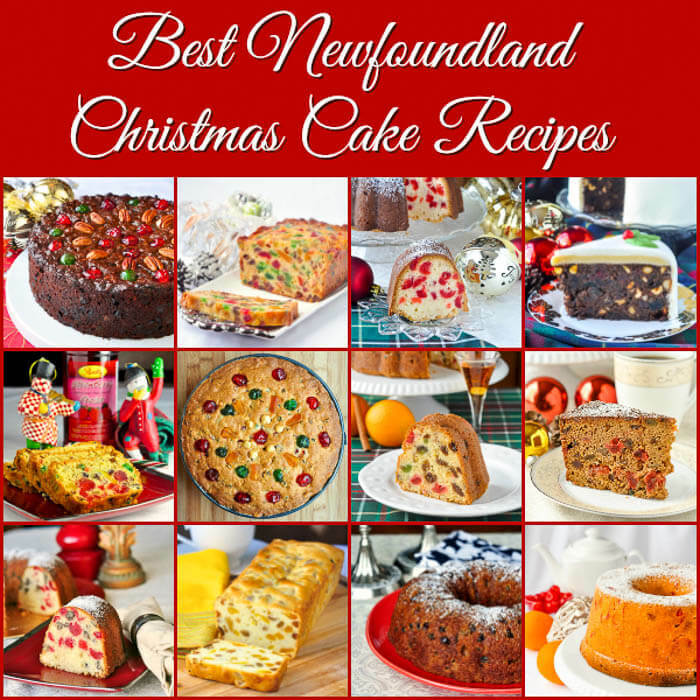 The recipe upon which this light fruitcake is based is very popular here in Newfoundland, especially around Christmas. 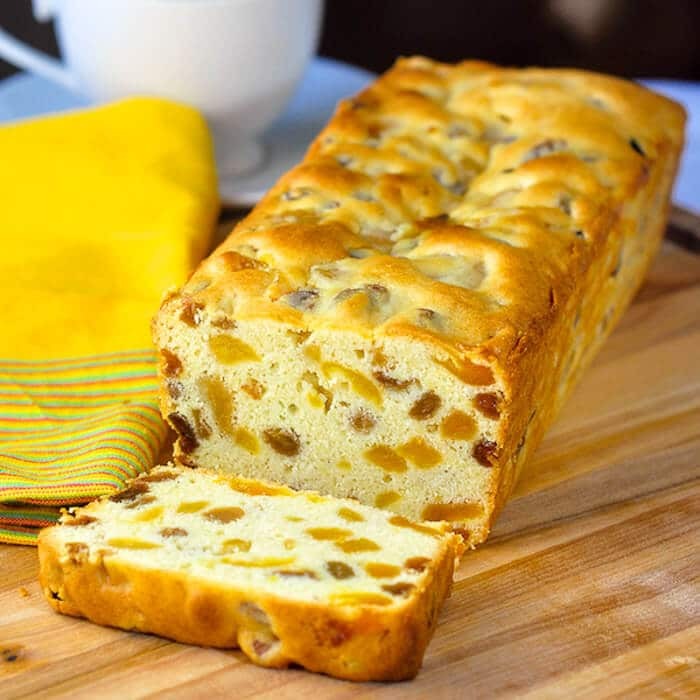 Find the original moist, rich Apricot Raisin Cake here. Originally published Nov 18, 2009. Updated Photos December 18, 2015. Like this Apricot Fruitcake recipe? Find other great fruitcakes in this recipe collection. Looking for Cookie recipes for Christmas Baking? Find over 200 by browsing the recipe photos in our Cookies Gallery. This moist, spice-less fruitcake is one of our family favorites. It is not nearly as heavily flavored as dark fruitcake. Since no spices or molasses are used this cake relies purely on the flavor of the dried fruits. In a medium saucepan combine the water, apricots, 1/4 cup sugar and raisins and simmer slowly for 30 minutes. Set aside to cool completely to room temperature. Cream the butter, cream cheese, vanilla extract and 1 cup of sugar until light and fluffy. Fold in the cooled boiled apricot mixture. Fold in the cherries and dried fruit. Bake in a greased and floured tube pan or 2 greased and parchment lined small loaf pans at 325 degrees F for about an hour or until toothpick inserted in the center comes out clean. A tube pan will probably take over an hour depending on size. My small aluminum loaf pans took about 55 minutes. The toothpick test is the most reliable way to test if the cake is baked. Cool in the pan/s for a 10 minutes before turning out onto a wire rack to cool completely. Store in a cake tin or other airtight container. Freezes well too. The prep time here includes cooling time for the boiled raisin base. I recommend using light raisins in this recipe if you want to keep the golden color of the cake crumb. Using darker raisins can affect the color but not the flavour of the cake. Previous Post: « Gumdrop Cake. A Holiday or Birthday Favourite! I love a good fruit cake, so I’ll be making this later in the week. I love the texture of apricot cake also and I am very excited about making this cake in a few days! No, just the baking time. if i was to make the fruit cake with some nuts like almonds would i need to boil the almonds too? thanks ! I definitely would NOT boil the almonds. I might toast them lightly in the oven first though for extra flavor and texture. I first made this recipe last Christmas & it turned out great. I made it again for my mother’s 80th birthday cake & everyone raved about it.I now have 2 more requests from my husband & son for this DELICIOUS fruitcake as their birthday cakes. I have made it in a tube pan but now will do them in loaf pans. Thanks for the recipe Barry. You’re so welcome. This recipe has been in my family for many years and I expect will survive for generations to come. Just wondering how long this keeps? Is it like other fruit cakes that last forever? Does it freeze well? Thanks. I never try to keep fruitcake for longer than a week or so. I just usually freeze it in loaves and take it out of the freezer as I need it….and yes this one freezes very well. I tried making this cake and it did not turn out at all like the one in the picture. It was still good and tasted great, but the colour and texture was very different than your pic. Mine was much darker in colour, because after coking the raisins for 30 minutes the liquid turned dark and therefore caused my dough to be much darker than your pic. Also mine is very crumbly….and dense. It still got eaten mind you but I’d love to know what I did wrong. Also there was way too much dough for a tube pan, I had quite a bit left over??? Would appreciate feedback. I suspect that you boiled the mixture too rapidly. It needs to be slowly simmered. I have never had that result. The type of raisins probably also contributed to the color, try using golden raisins next time. Sizes of tube pans vary so I can’t comment on that but mine more than accommodates this recipe. Any excess can always be baked in a small loaf pan and even given as a gift. Oooo! This looks and sounds sooooo yummy! 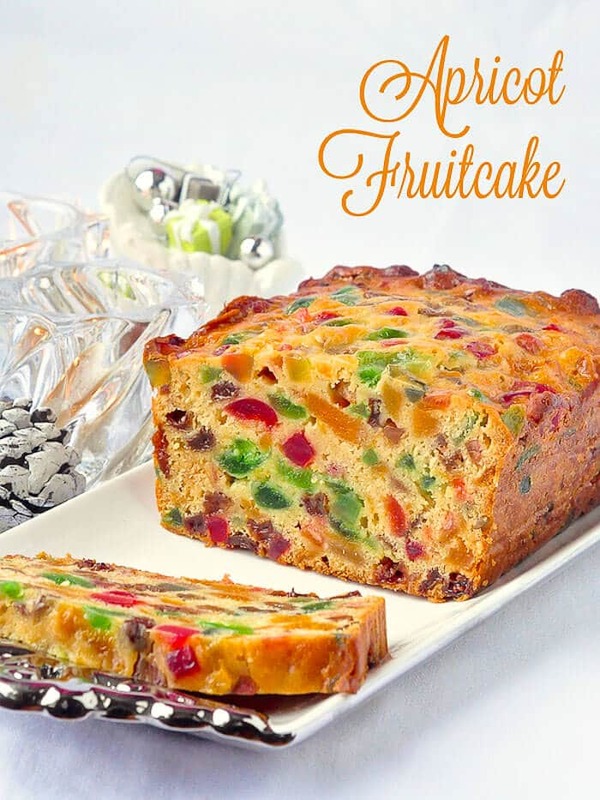 I think that this is one fruitcake that I will definitely make and like! Thanks for the recipe! can you soak this cake with rum or apricot brandy and wrap to keep longer? Or would it need to be a more dense recipe? Yes Glace is absolutely fine. Made this cake yeasterday and it is amazing. I will be making this one every christmas for sure! One of the moistest fruitcakes I’ve ever tried. So glad you approve. This is my go-to Christmas Fruitcake. I sent 2 of these off to Alberta to our sons living there & I know it will be a little of being home for the holiday-great recipe! P.S. I had to put another 1 in the freezer for hubby. Very popular here on the Rock at Christmas for sure. Hi Barry! This recipe sounds awesome! Could you please let me know if you use salted or unsalted butter? Thanks so much. I generally bake with salted butter then omit any salt in the recipe if called for but you can use unsalted if you choose. I just made this WONDERFUL cake for the first time this year. Thank you for the recipe. Everyone who has tried it loves it! Highly recommended for something a little bit different, but very tasty. I’ll be trying some other recipes here for sure. I’m actually making this today! Glad you enjoyed it. This looks like a delicious cake but I am wondering if it is really sweet. Can you use a little les sugar and it would still be ok? There should not be a lot of liquid but you do add it. Could I make this cake without cooking the fruit ? Ifollowed your recipe .The cake turned out very soggy . Sounds like you din’t cook it enough and retained too much of the liquid. Hi Barry, when they say mixed dry fruit what does that really mean. Just the ordinary mix fruit? It really does sound like too much fruit and liquid ingredients. Green glacé cherries. I usually buy red and green to keep it more colourful. I wouldn’t recommend it for this particular cake. It is one of the moistest I have ever tried. as with the original recipe do you let the fruit soak overnight after boiling to keep the fruits moist? or do you just let them come to room temperature after boiling and add it to the batter thereafter? Made three loaves of this recipe this afternoon and it is definitely a keeper! The slow steady simmer is so important in tenderizing the fruit, and I spread the reduced syrup and fruit out on a baking sheet to help it cool faster to room temperature. I made this so we wouldn’t be tempted to cut the traditional dark fruitcake I just made three days ago — so glad I found this recipe! Great cake, easy to make, very tasty! Is the 325 oven regular or convection? In able to get mine com clean on the toothpick test it was browner on the outside than yours looked in the photo. I use regular heat but you can use convection. Just be sure to test it early it may bake faster. Totally depends on the size of your pans. Just watch them closely and trust the toothpick test to be your guide. Thank you, Can’t wait to try these! I would like to try this as I have an unsulphured dried fruit mix that I think would be lovely. After simmering the fruit, about how much liquid is left? 2 1/2 cups becomes? 1/2 cup or 1 cup syrup? The least the better because it means that the moisture is absorbed in the fruit, where it will keep the cake moist over time. I am going to be trying this recipe, But first I was wondering if you have to put the raisins in? Hi Loving the sound ofvthis. Cant wait to ty it. your recipe states sugar. Can I ask what type of sugar is it granulated or castor sugar. Many thanks. The term caster sugar isn’t used in North America. Sugar, unless specified differently, will generally mean regular granulated sugar. I’m going to make this but was wondering if I can use less sugar and if it would be just as moist and taste the same. I can’t seem to get this cake baked in teh moddle.. I weighed my mixed fruit and 1lb equalled about 3 cups..and the cherries were about 2 cups.. Do you think I put too much fruit? Perhaps your fruit mixture was too wet. It should be thick and jammy. I like to make the apricot part a day ahead for maximum absorption of the liquid in the mix. When you say mixed “dry fruit” what do you use besides the raisins and apricots? Glacé fruits like cherries and pineapple or a mix and candid mixed citrus peel too. Whatever you like. Your wet mixture was maybe a bit on the wetter side. I always just bake until it passes the toothpick test. This has been our family’s favorite fruit cake recipe for many years. I bake it in a tube pan & find it takes about 1 1/2 hours to completely cook. Served best with an old fashioned fruit cake icing such as a boiled icing. Love this recipe.Great taste. Send to our Alberta son. Cooking times a bit wonky in my oven. I just made this recipe and when the apricots and golden raisins were simmered for 30mins there was still a lot of fluid in the so I drained most of it off before adding the dry ingredients .hooefully they will turn out good as the batter was still quite moist ! I made the Apricot fruitcake yesterday and it was beautiful, but I had to bake it for about one and a half hrs. Thank you for that wonderful recipe. Absolutely amazing. First try at this and wow! I am super impressed. Bht Barry is right, keep testing with a toothpick (I actually prefer a small butter knife.) I baked in two 9″ loaf pans at 325, but after an hour they were nowhere near done. At 90 minutes in, stijll doughy. So I increased the temp to 350, went another 15 minutes, and then another 15 before my butter knife came out clean. I’m not complaining, this recipe is marvelous, such a great colour and amazing flavour. This will be a Christmas go-to from here on in. Thanks so much Barry! Before adding the glace cherries & fruit should the syrup be rinsed off? Made this cake last year & it was delicious but a bit on the sticky side. Love all your recipes. Thanks for sharing them with us. If there is a lot of syrup, then yes. If not, okay to add. I made this cake , it’s the best ever! I don’t like raisins so I used dried cranberries instead. Also used glace fruits (papaya, pineapple,citron peel) that I bring from Greece. I couldn’t find green cherries so to make for a bit more colour I added chopped pistachios – unsalted of course! Whilst leaving them to cool my cat discovered the cakes and decided to have a nibble ! He approves of them too ! Needless to say the air was blue!! !